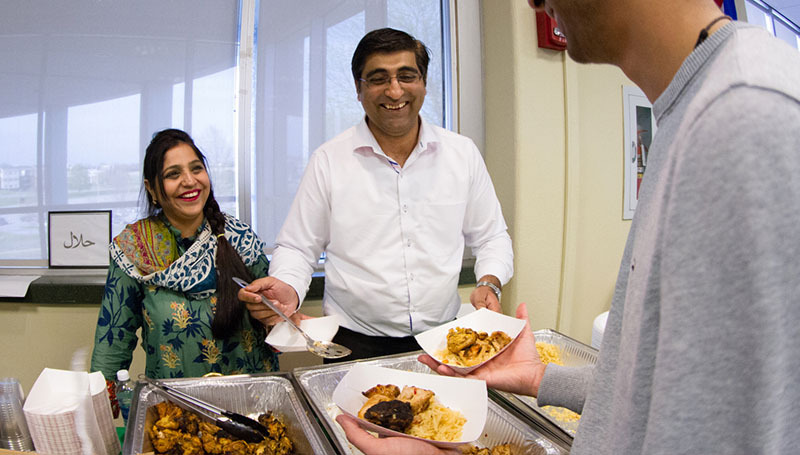 The fifth annual World Music & Cuisine Festival will be held from 5 to 7:30 p.m. Saturday, April 7, in Billingsly Student Center’s Connor Ballroom on the campus of Missouri Southern State University. International students and community members will prepare their native dishes, while a variety of musical groups perform. Food samples will be sold for $1 each; for $8 to $10, a person can enjoy a complete meal complete with drink and dessert. Presented by the MSSU Institute of International Studies and the MSSU International Club, the World Music & Cuisine Festival is a fundraiser for the university’s international students. Entertainment will be provided by the MSSU Caribbean Steel Drums and Taiko Drumming at 5:15 p.m.; Kolograd, an Eastern European folk music band, at 6 p.m.;Saudi Ardah, a dance by students from Saudi Arabia, at 7 p.m.; and British Virgin Island students performing the official territorial song, “Oh, Beautiful Virgin Islands,” at 7:15 p.m.
Emcees will be Merjen Nurberdiyeva, a junior management major from Turkmenistan, and Osinachi Nwogu, a sophomore CIS major from Nigeria. Food selections will include offerings from Wings N Moore, Charcoal Grill, Tropical Smoothie Café, Bites & Pipes and other restaurants, as well as dishes prepared by more than two dozen students and community members. The Islamic Society of Joplin, the United Hebrew Congregation, Joplin Rotary and Thomas Jefferson Independent Day School will also participate.